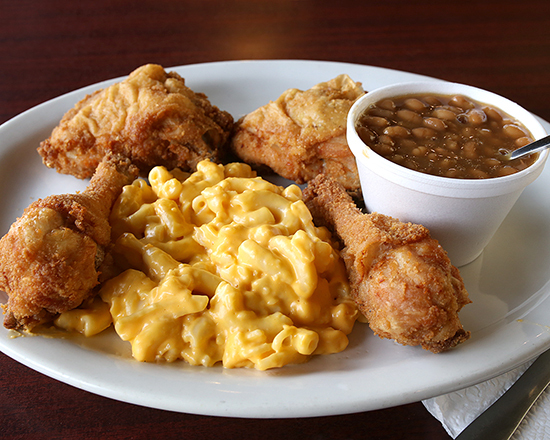 Located in the heart of Grandview, Uncle Nick's brings award-winning fried chicken to Columbus. Uncle Nick's Greek Fried Chicken was born from the Buena Vista Café in Warren, Ohio. Buena Vista, started by Nick Frankos, began as a small neighborhood bar established in 1956. Nick wanted to be more than a bar, so one day; he attended a food show to view new food and equipment products. He came upon a Henny Penny pressure cooker, a state of the art piece of equipment designed to pressure fry chicken. Uncle Nick came home with that pressure cooker and created what Buena Vista is now known for—fried chicken. Before adding it the menu, he experimented with different marinades and used his friends at the bar to taste the finished product. It took him some time but the rest, as they say, is history. The Columbus location of Uncle Nick's Greek Fried Chicken was opened in February 2015. Since then, we have been serving the classic dishes from BV, bringing our award-winning fried chicken to central Ohio. Call (614) 481-4040 now to place a pickup order. To have an order delivered, please use GrubHub or SkipTheDishes. For catering requests, give us a call or email us to place your order and request a quote.